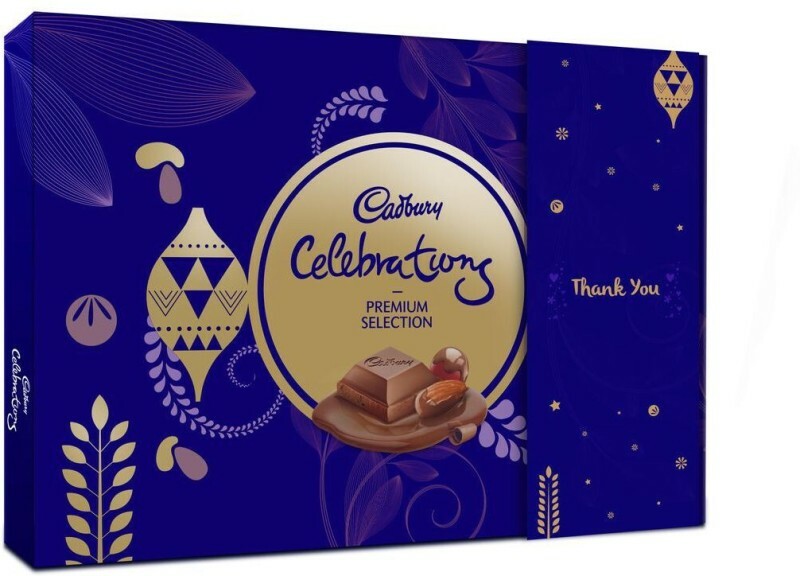 The Cadbury Celebrations Premium Assorted Chocolate Thank You Gift Pack, 286.3 gm Bars(286.3 g) is available on Flipkart. 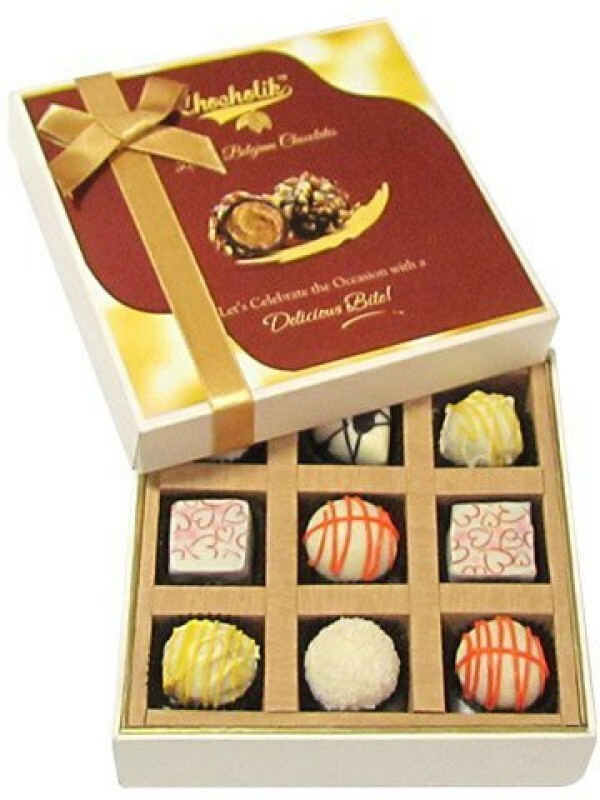 Buy Cadbury Celebrations Premium Assorted Chocolate Thank You Gift Pack, 286.3 gm Bars(286.3 g) online in India for the lowest price. You can also avail the options of Cash on Delivery (COD) and EMI on purchase of this product. Thank the people who touch your heart, by gifting them the delicious Cadbury Celebrations Premium Assorted Chocolate gift pack, wrapped in a beautiful “Thank You” sleeve, costing Rs. 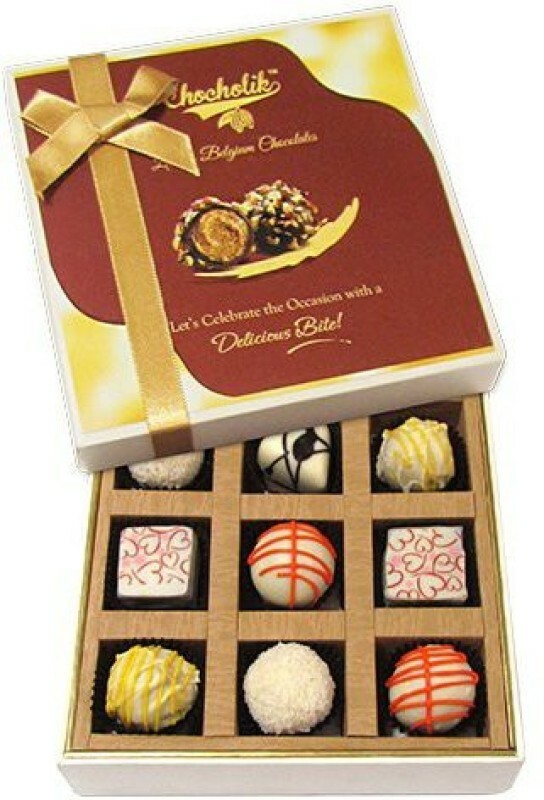 400 (Including chocolates worth Rs. 350 and ‘Thank You’ sleeve for an extra Rs. 50). It contains the all-time favourite chocolates – 1 pack of Cadbury 5 Star 3D Chocolate Bar 45g, 1 pack of Cadbury Dairy Milk Chocolate Bar 25.3g, 2 packs of Cadbury Dairy Milk Fruit & Nut Chocolate Bar 36g, 2 packs of Cadbury Dairy Milk Roast Almond Chocolate Bar 36g and 2 packs of Cadbury Dairy Milk Crackle Chocolate Bar 36g.This personalized gift pack is designed to be shared and enjoyed with your loved ones. This product is also available without a ‘Thank You’ sleeve at no extra cost.